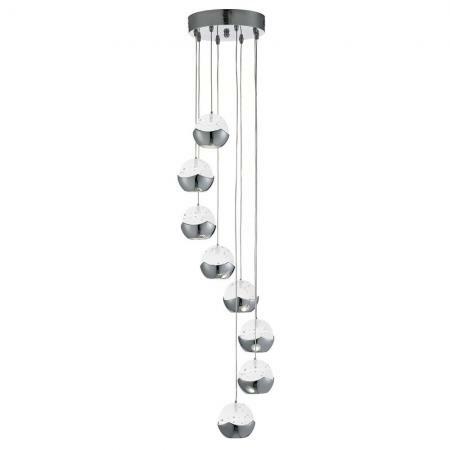 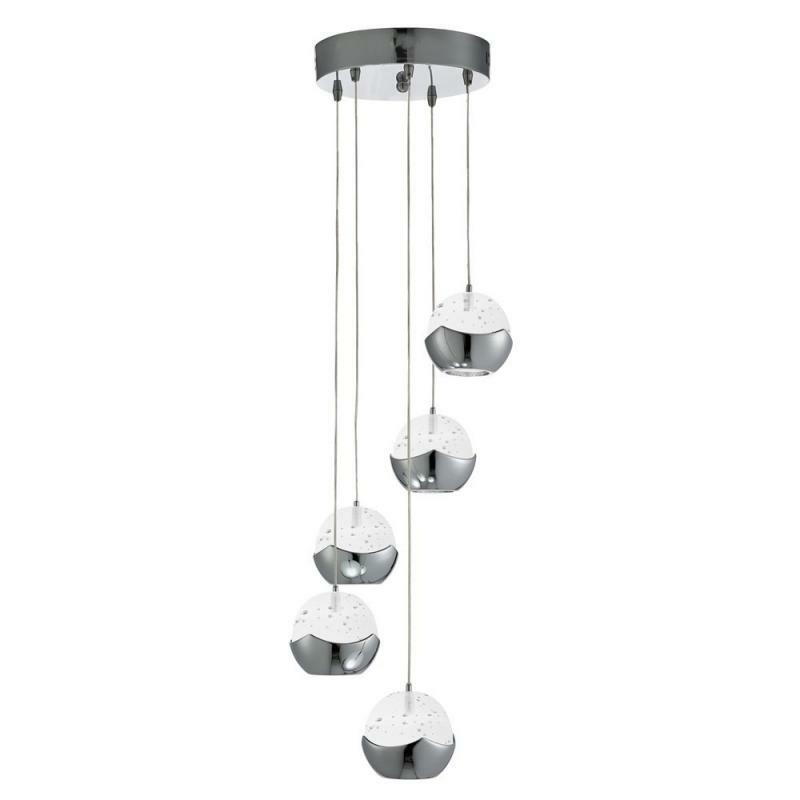 This Iceball LED Chrome 5 Light multi-drop pendant with round glass shades makes a beautiful focal point for any hallway, staircase or living area. 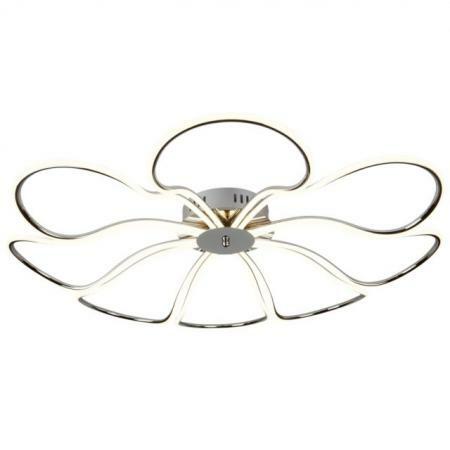 The smooth round chrome finish metallic domes are complemented by a recessed inner glass and illuminated with the latest energy saving LED technology. 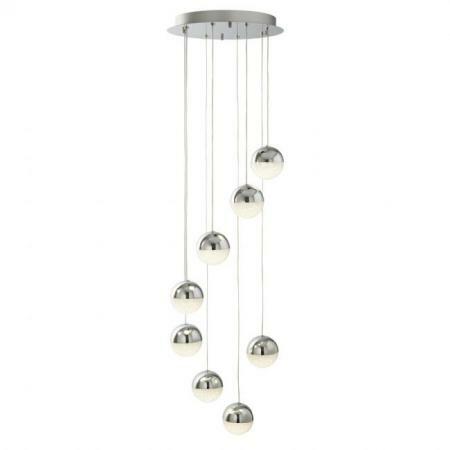 This dingle dangle pendant light consists of a circular ceiling plate from which the cascade of five pendants spiral elegantly to produce a dramatic lighting spectacle.